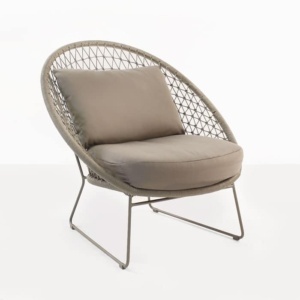 The Brentwood Relaxing Chair is a unique design that mixes an organic vibe with classic sophistication. 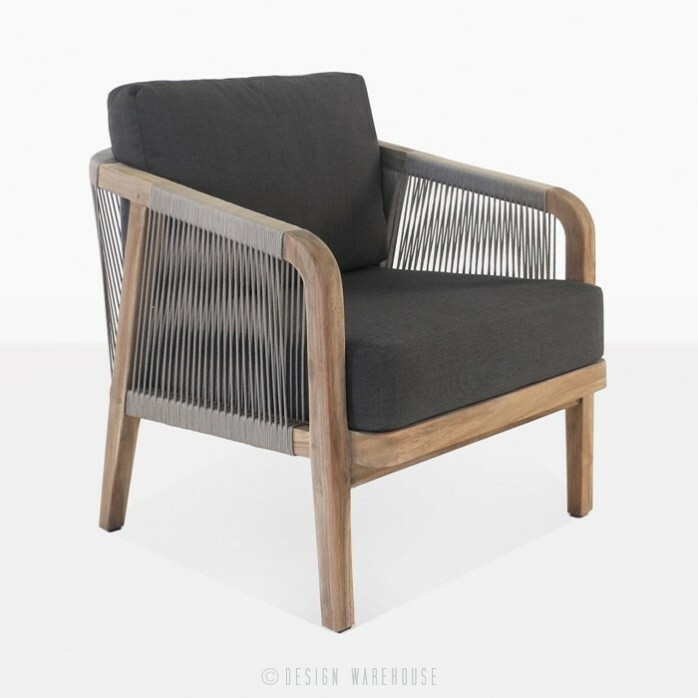 We chose innovative materials create a chair that can easily transition from your outdoor living space to your indoor sanctuary. 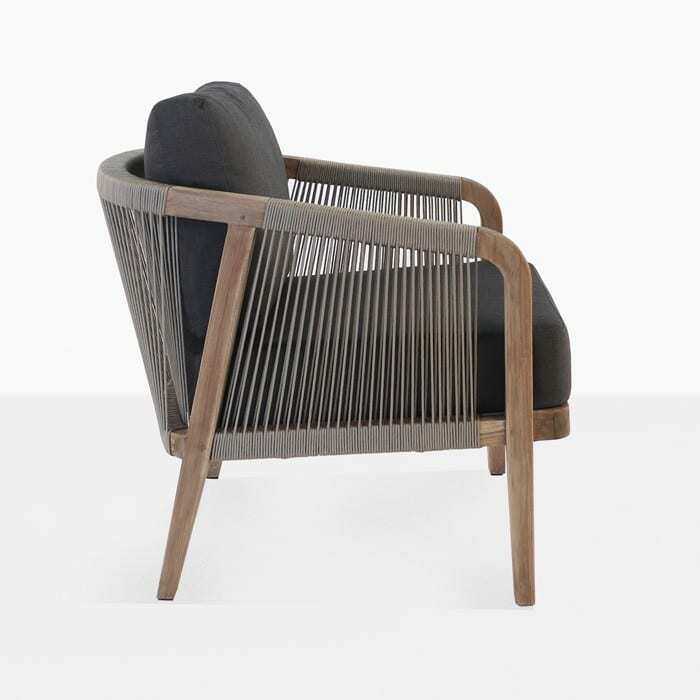 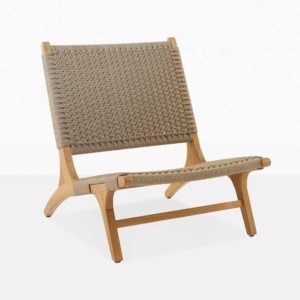 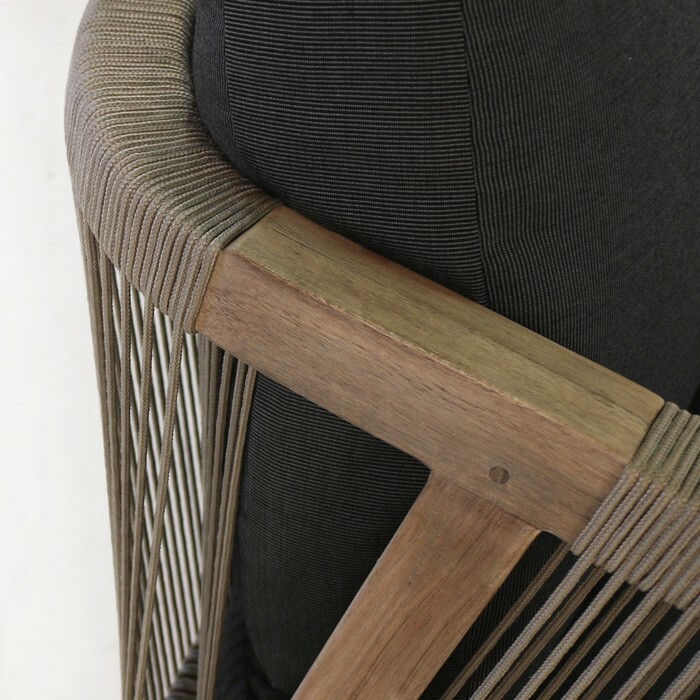 This outdoor chair is made with reclaimed teak and polypropylene rope fibres, these are high quality materials that are meant to be used outdoors. 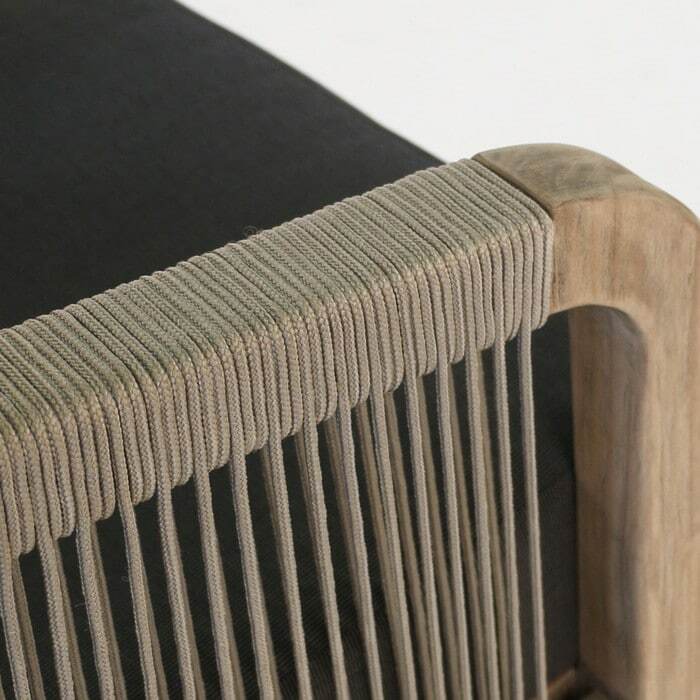 The rope fibers are expertly woven around the arms and back of the frame giving it an added dimension and interesting architectural feature. 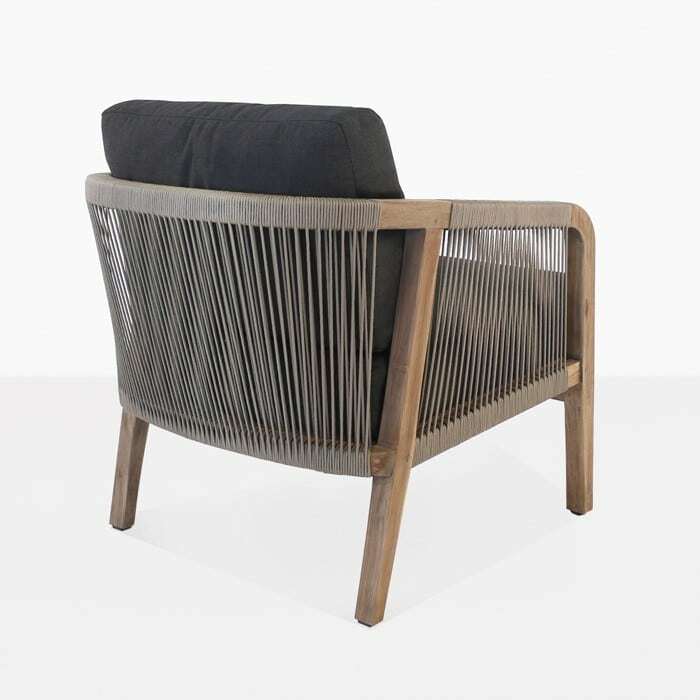 This is a beautiful chair that can stand-alone or be added as an accent chair to many of our deep seating collections. 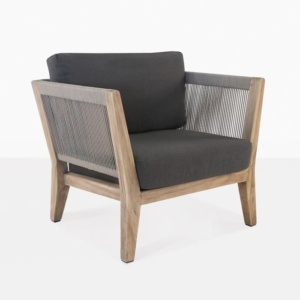 The charcoal Sunbrella® cushions are included with the chair as shown.